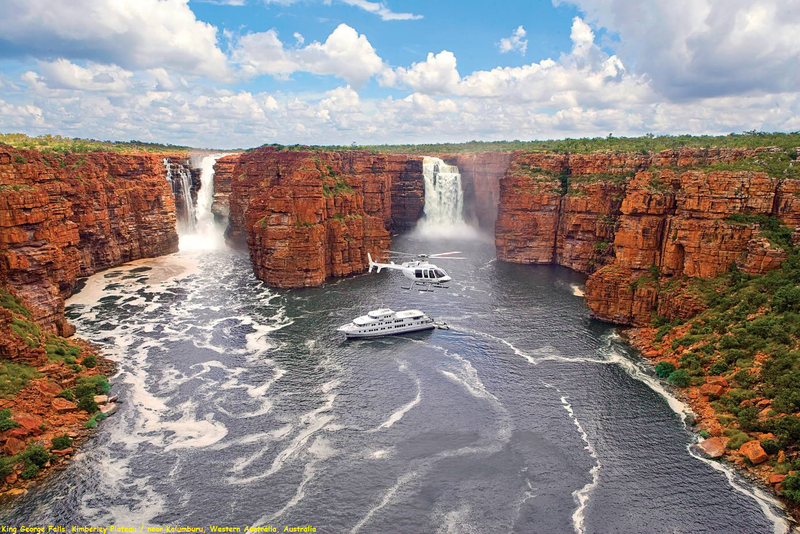 Included in every stay at Faraway Bay, is a boat cruise along the magnificent King George River to the King George Falls, the Kimberley most magnificent treasure. This full day tour will leave you amazed and in awe of this natural beauty. Your trip will take you within metres of the Kimberley’s stunning natural wonder, the breathtaking twin King George Falls, as seen in Baz Luhrmann’s movie ‘Australia’. The King George Twin Falls is Western Australia’s highest waterfall at more than 50 metres high, with 180 feet of water beneath.